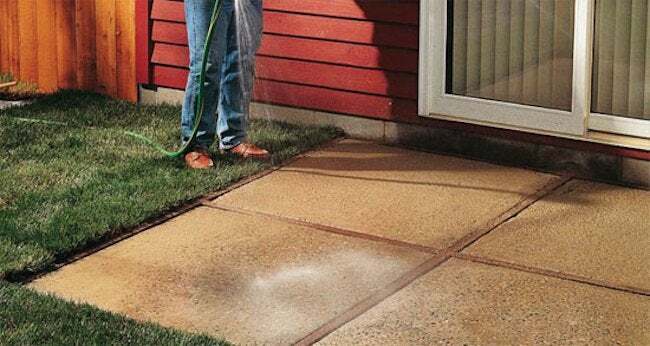 Done right, a concrete patio can be an attractive addition to your property that's long-lasting, versatile, and economical—particularly if you pour it yourself! 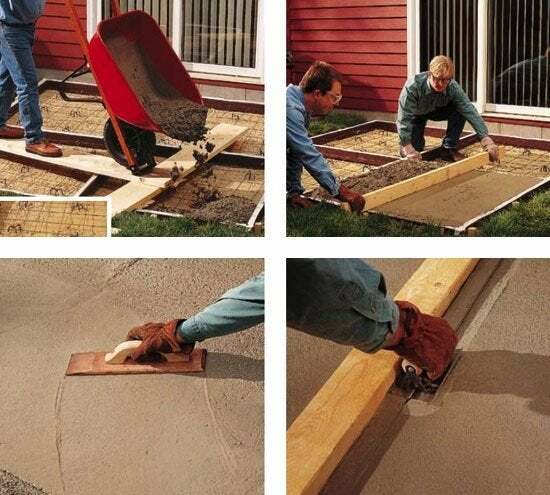 Before you begin, survey the location you’ve chosen for your DIY concrete patio. If the ground here isn’t level, you may need to regrade the site, with or without the help of an excavator. Even if there’s no plainly visible, dramatic slope and the terrain looks level, it’s best not to trust your naked eye. Rather, drive stakes around the project area, attaching mason’s strings between each one. Using a line level, make sure the string runs at a consistent height. Next, measure from the string to the ground at each stake. 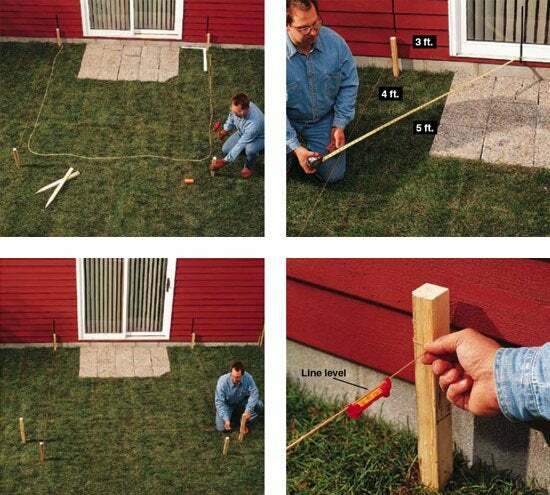 Compare the line-to-ground measurements of any two stakes, dividing the difference (in inches) by the distance between the two stakes (in feet). If you get a calculated slope greater than one inch per foot, then you’ve got some grading work ahead of you. 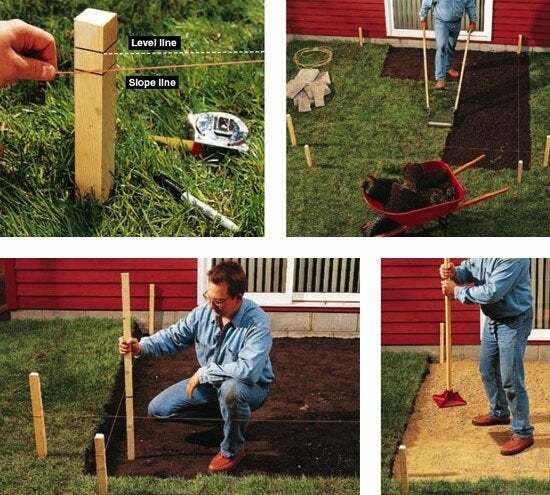 Using either rope or a garden hose, delineate a rough outline for the planned patio. Next, drive in stakes in alignment with, but sitting about a foot outside, each corner of the rough layout. Once you have done so, run mason’s strings between the stakes; where possible, use two stakes set back about a foot from each corner so that the perpendicularly running strings will intersect at the true corners of the project area. Now it’s time to square the staked-out area. To do so, use what’s known as the 3-4-5 triangle method. From any corner, measure and mark a point three feet out along one string, four feet out along the other. Measure between the two points. Is the distance precisely five feet? If not, adjust the position of the strings, resetting the stakes if necessary, until the points are, indeed, five feet apart. Follow the same approach in each corner of the project area. Finally, use a line level to ensure that the mason’s strings run at a consistent level. to provide a level, stable foundation. Pour the gravel to a thickness of about five inches, then use a tamper to compress it to four inches. Whereas it takes brawn to complete the site excavation, it takes finesse to construct the form—that is, the wood frame that needs to be built to contain the poured concrete, establish its height, and determine its shape. 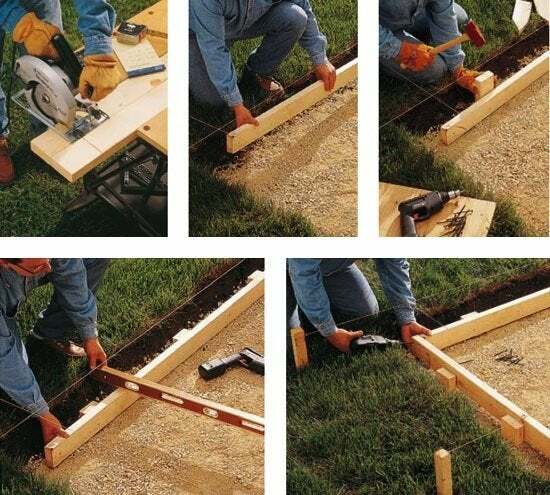 Begin by positioning 2×4 boards onto the gravel along the perimeter of the project area, using the mason’s strings as a reference. Because the inside dimensions of the form must equal the total size of the project area, set the boards so that their inside edges hit directly below the strings. Then, every three feet along the outside edges of the form boards, drive in a foot-long stake cut from your stock of 2×4’s. To fasten the stakes to the boards, drill three-inch deck screws through the one and into the other. Finally, after leveling the form boards, screw them all together to finish. 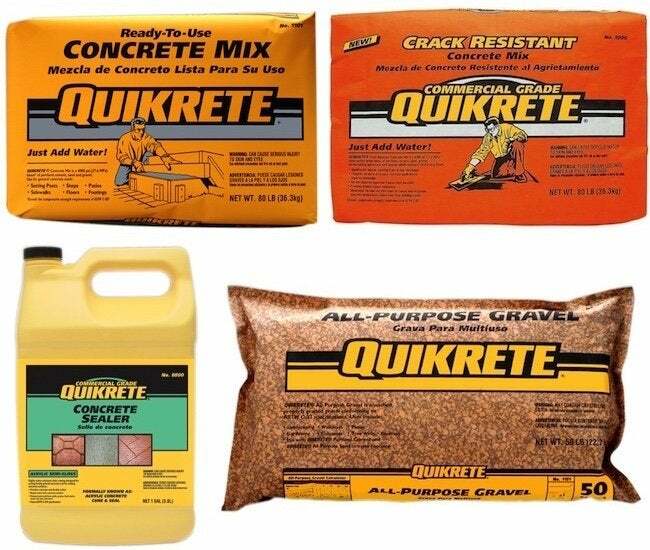 To prevent the concrete from bonding with the wood, coat the form with either vegetable oil or a commercial release agent. , not only to eliminate the need for water-curing, but also to repel water and prevent stains.